They said such a move would likely be a prelude to the Dutch drinks firm raising its stake in the maker of Kingfisher beer to above 50 per cent, betting on a small but fast-growing beer market. 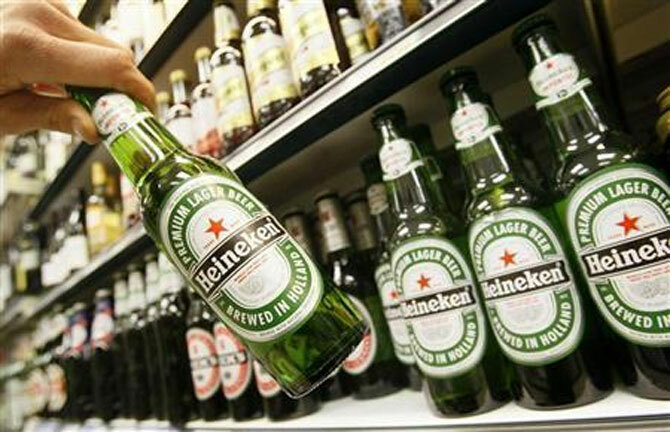 Heineken acquired a 37.5 per cent stake in United Breweries in 2008 through its takeover of Scottish & Newcastle and has since increased its holding to 42.4 per cent. With Mallya distracted by debts from a collapsed airline venture, this could be a timely grab by Heineken in a market that is growing much faster than the global average. Two-thirds of Indians don't drink alcohol, often for religious or cultural reasons, but rapid urbanisation and a rising middle class are changing consumer habits. India accounts for 13 per cent of world beer consumption, and annual volume growth is expected to outpace the global average, and major markets like China, through 2019, according to ratings agency Moody's. Mallya has already been forced to give up control over United Spirits, part of his UB Group, to Diageo, which now owns about 55 per cent of the company. He stepped down from the board last month, receiving a $75 million pay off. On Thursday, creditors auctioning off Kingfisher Airlines' Mumbai headquarters did not receive a single bid, according to a banker with direct knowledge of the process.